Purpose: Intellectual capital offers a potential source of sustainable competitive advantage and is believed to be the source from which economic growth may sprout. 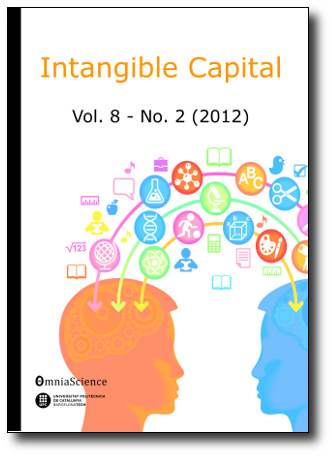 However, not many papers analyze the effect of sustainability in the elements involving intellectual capital. This paper seeks to highlight the key role played by corporate sustainability on corporate reputation as one of the key components of relational capital based on the knowledge-based theory. Research limitations/implications: The complicated economic environment currently experienced worldwide may affect the perceptions of Spanish consumers and their ratings. The crosscutting nature of this research inhibits an understanding of the variations in the perceptions of the customers surveyed over time, suggesting that this research could be expanded by a longitudinal study. Finally, the current study has been conducted with consumers of hotel companies in Spain and it is not clear in how far the findings can be generalized to other industries, stakeholders or countries. Practical implications: This research allows managers to identify the activities in which companies can devote resources to in order to increase firm´s reputation. By knowing these specific economic, social and environmental activities, companies can understand, analyze and make decisions in a better way about its sector and about the stakeholders that assess these initiatives.